Everything is going on automation from moving first floor to ninth floor or even making money from campaign is also on autopilot, there are many ways and there are many things to do to promote products may be your own products, blog posts or even other products online but if it will be on autopilot then it is just awesome, imagine while you will be sleeping you will earn money, actually that is the real beauty of blogging and of course internet marketing. I feel myself glad that I found blogging and in the last two days I have earn over $200 that is just awesome, amazing in India, if anyone will earn even $100 extra per month there would be definitely a great change in their lifestyle but earning must be passive means every month. I know there is only one great way to earn passive income online that is blogging well after then you can earn money from affiliate marketing, by selling own products, like these days I am selling my own products online but yes I used couple of tools for this, like I used Get Response for my e-mail marketing, well if you want to use it you can too because its free to use for first month click here and get started today. Other than this I also used Instamojo as a Payment Gateway in India. Well, let me tell you my product which is really good for beginners and of course those wanted to earn passive income online well I have already share couple of times that I have been blogging from last few years did lot of mistakes and of course learnt lot of things and soon I am going to launch many more products but these days I am little busy with my higher education because that is also important, I can not compromise with my education, okay the product is about getting pro blog only for 499 RS, I can not guarantee the price because price may increase at the time you are reading, because the price was it when I was writing this article. 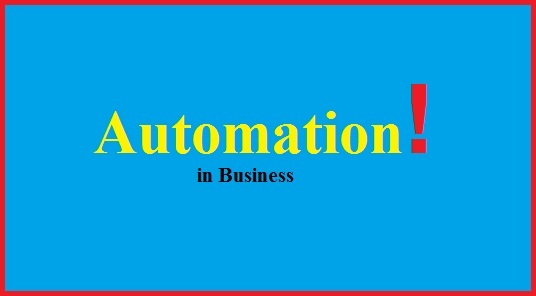 Well, lets talk about automation actually, its my favourite because expert says every dollar you spend on e-mail marketing you will earn 25 times ROI for that, well its a statistics by experts, so now think about it the potential of this marketing. So, this is the BIG reason I have choose e-mail marketing earlier also, I have written couple of articles based on my experience and soon, I am going to share with you more information about marketing and of course my ROI through e-mail marketing, other than Get Response I also used Feed Burner which is also good but they have limited features just like the automation system I am using with Get Response which is not possible with Feedburner. 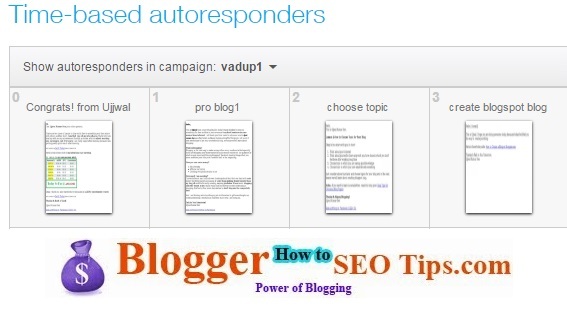 It is known as auto responder, it is shown below, because if it will be visual then you will understand it much better way, here is the inside view of Get Response. Of course it helps me to save my time, because once I set up my campaign its done I can use it for again and again, so no need to invest time again & just getting great benefits from it over and over. Actually, this is the real beauty of internet marketing, but it takes time to earn passive income because of course if you want to get good job in the physical world then you have to study for years at least more than 12 years but in this world one to two years of hard work with proper planning is enough to earn passive income online. There are many those asked me about my earning, I replied with one message but already I have shared with in last two days I have earned over $200 and that's really cool about internet marketing, these days I am even earning more money than I am earning from my day job yes, I do my day job because I love that too. Well, one thing I usually do that is keep promoting and of course writing when I got free time because with day job writing good lengthy articles is little difficult but yes I managed to do so, that's why I don't worry much about my day job because of passive income online, but of course I give great value to my organization because that is really matter being an employee of that organization. Each person subscribe to my list they keep getting e-mails from me on autopilot and that is the great way to build relation with your readers by informing them each and everything on time. Just like what I did? Each new subscriber come to my list I send them a tutorial to creare a blog and in that way they become my loyal readers, truly I helped them to create blog. The answer is simple Get Response, see e-mail marketing is the best way to grow your business if you will see or even notice you will see e-mail marketing also used by e-commerce companies because its worth it. There are many companies those provides such service but there are others things also matter and of course you will get complete free drive for one month with all features, if you remember or read my last blog post, I have written about creating landing page in minutes although I am not a technical guy that's only because of Get Response. 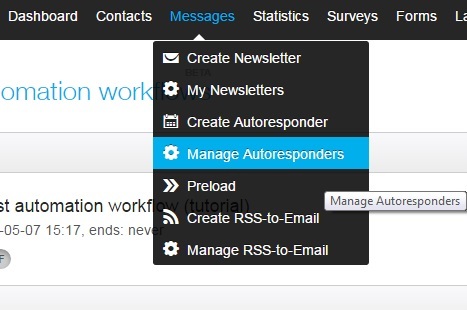 Get Response is my pro e-mail marketing choice, personally I am using it for collecting email list and of course to run my campaign on autopilot, see automation is really good because if you will set up once then it will work for again and again and of course it will work as long as you want. Share what do you think about automation? Yes, e-mail marketing is super, bloggers must apply this concept to grow their traffic, revenue and of course business.